Goshen is more than the place where Jeff Frantz does business. It’s where he and his wife raised a family. And it’s the community that provided a starting point for academic success and promising futures for his children. 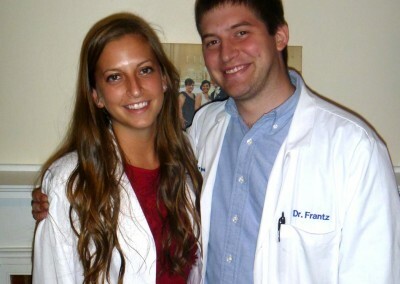 Frantz and his wife, Ann, have three children: a daughter who is a math teacher at Goshen High School, a daughter in medical school, and a son doing his medical residency. 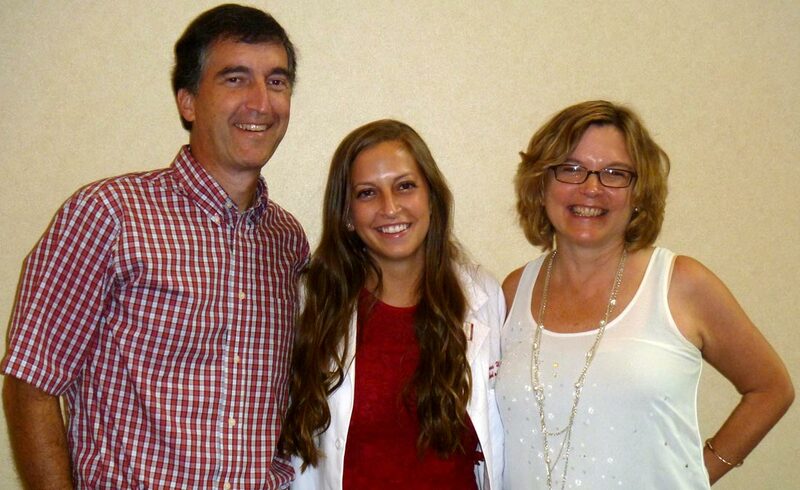 All three attended Goshen Community Schools and made the most of the experience. 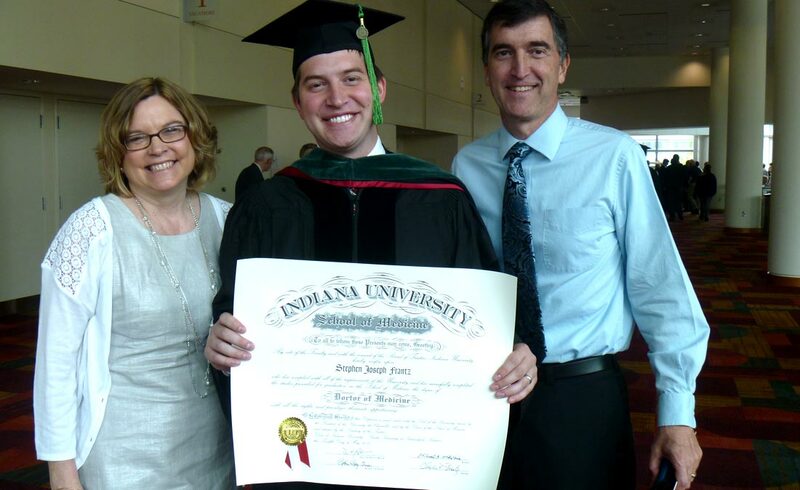 Jeff was born and raised near Goshen and graduated from NorthWood High School. He owns Maplecrest Insurance, a business that is a longtime member of the Goshen Chamber of Commerce. 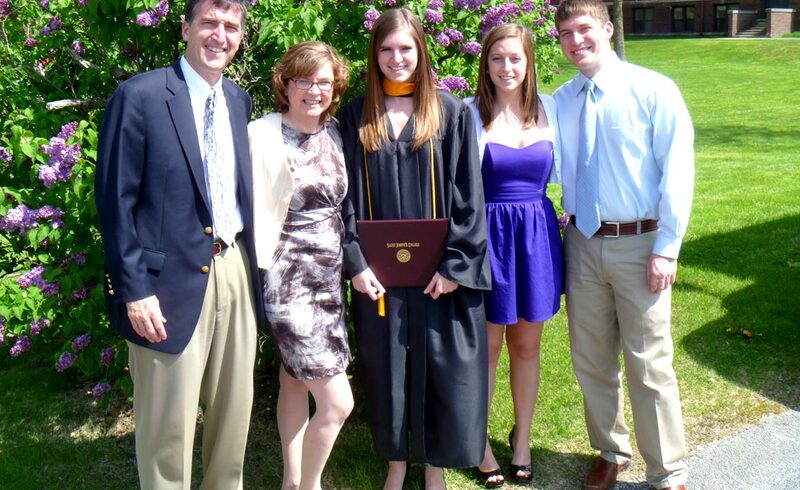 Ann is an accountant specializing in taxes, and works at Crowe Horwath LLP’s Elkhart location. 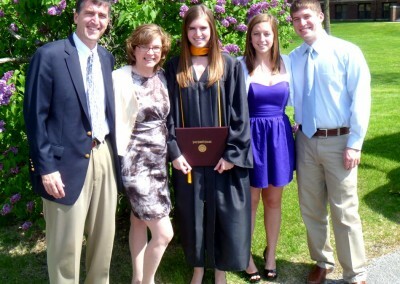 Jeff and Ann both attended Indiana University South Bend, where they met in a finite math class. Frantz’s father owned Maplecrest Insurance, and Jeff purchased the business over time. The business he took on was in Goshen, and the Frantz family never really considered moving elsewhere. “Certainly it was a comfortable and attractive place to live,” Jeff says of the Maple City. “For us, liking the Goshen community seemed to continue the process naturally” of having a business, building clientele and raising a family in Goshen. Jeff pointed out that he and the other Maplecrest agents are involved on various boards and in the community. “That’s an important part of how we’ve gotten to know our clients,” he says. Jeff is chairman of the Greencroft Goshen Board, is a past chairman of the Goshen Chamber of Commerce Board and past president of the Maple City Kiwanis Club. He remains active in both the Goshen Chamber of Commerce and the Maple City Kiwanis Club. 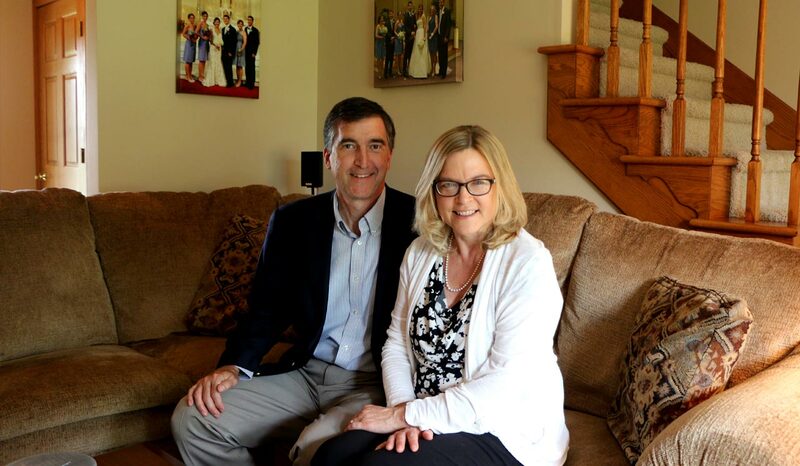 Jeff and Ann attend St. John the Evangelist Parish in downtown Goshen, and their children went to St. John’s school before going on to Goshen Middle School and Goshen High School. “The two school systems worked well together,” Jeff says, and the transition went well for his children. After high school, education continued to play a big role in their lives. 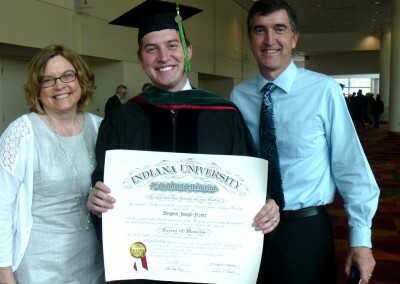 Stephen, 27, attended Indiana University Bloomington, and is doing his residency in anesthesia through Indiana University hospitals in Indianapolis. 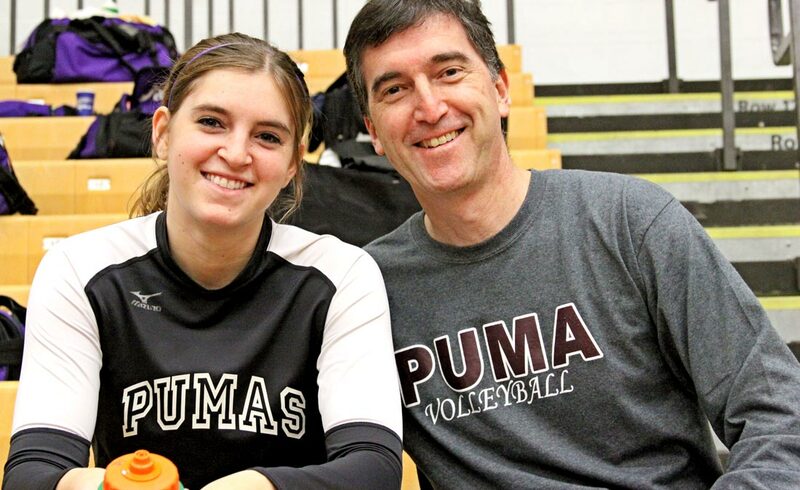 Sarah Bacigal, 25, is married with a daughter and teaches math at Goshen High School. 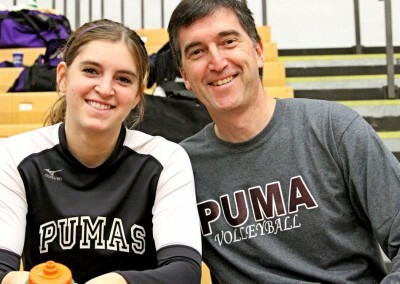 Prior to her teaching career, she received a volleyball scholarship to St. Joseph’s College and played there for four years. 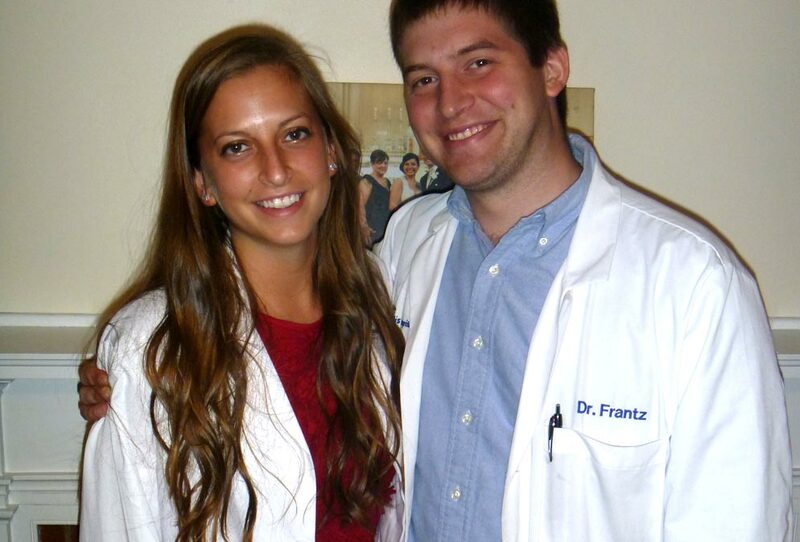 Rachel, 23, is in her second year of studies at Indiana University School of Medicine in Indianapolis. Stephen and Rachel both earned college degrees in Spanish, and took special courses focused on Spanish medical technology. They also have been part of medical service trips to Spanish-speaking developing nations: Stephen went to Honduras and Rachel to El Salvador. Sarah, as well, has a minor in Spanish. 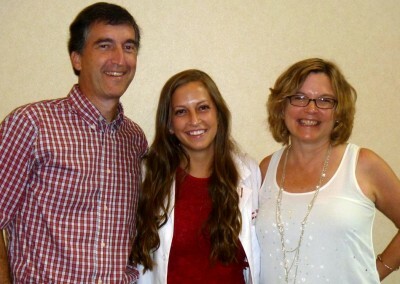 For the Frantz family, Goshen has offered a great start to broader opportunities. It is also a place to call home.